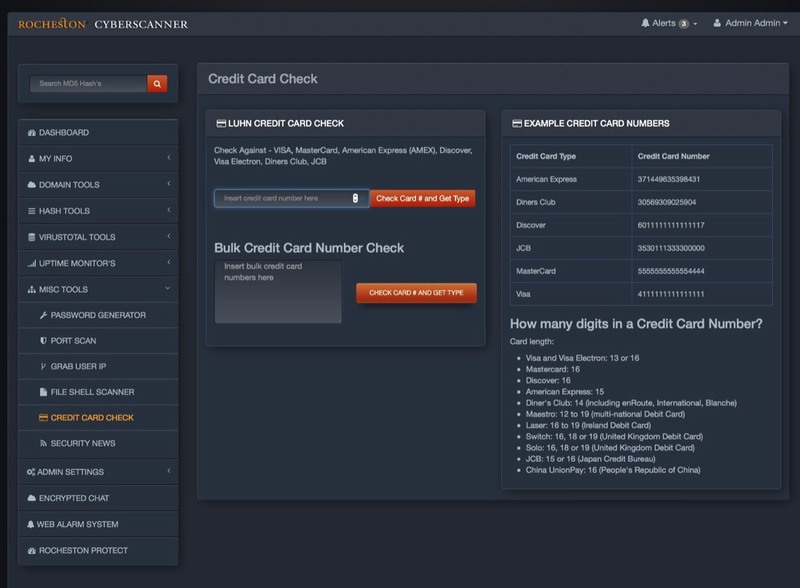 It is simply the most innovative and advanced Cyberwarfare Scanner. 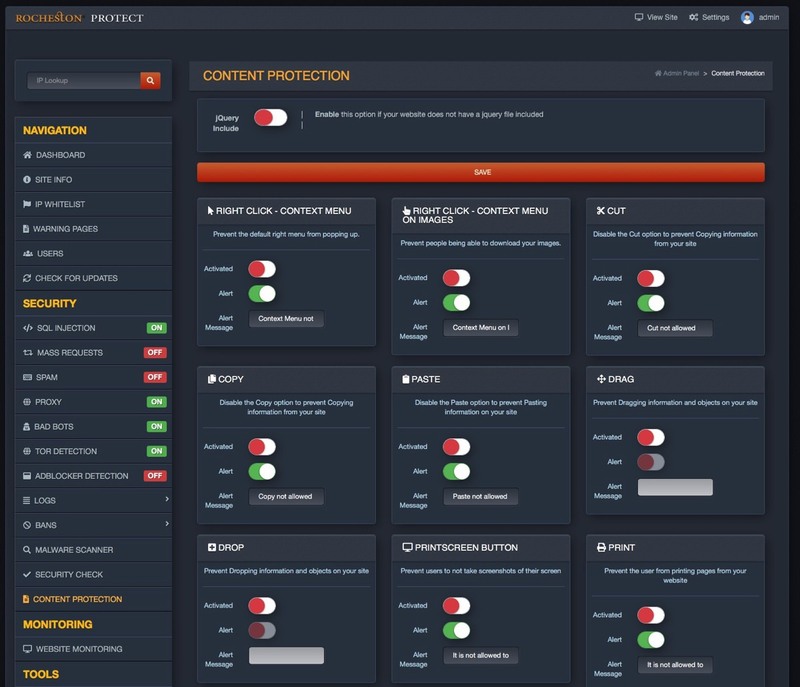 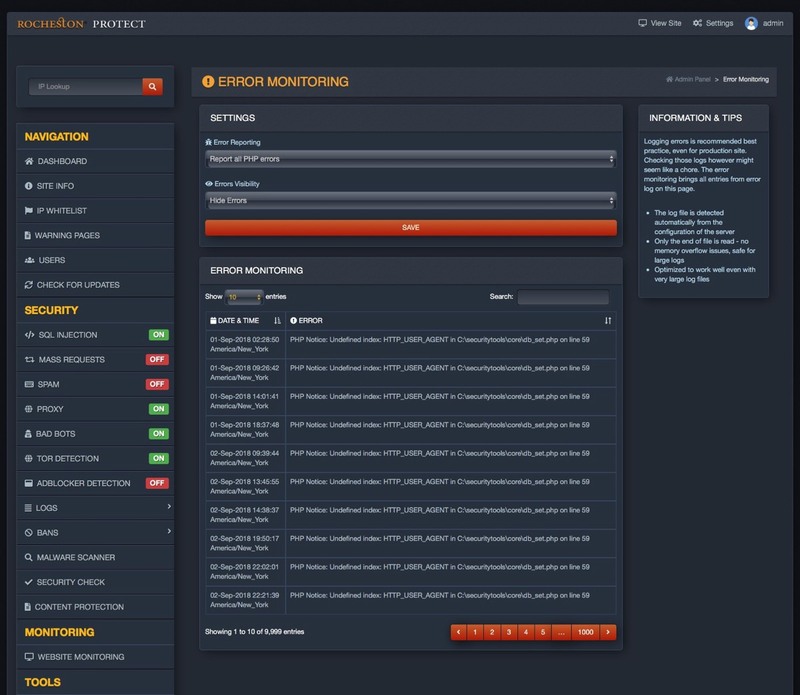 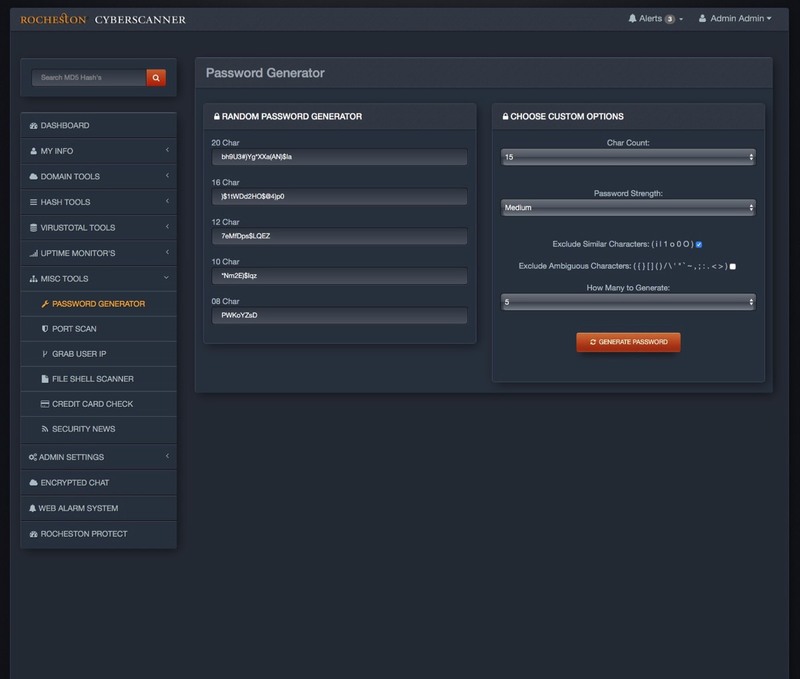 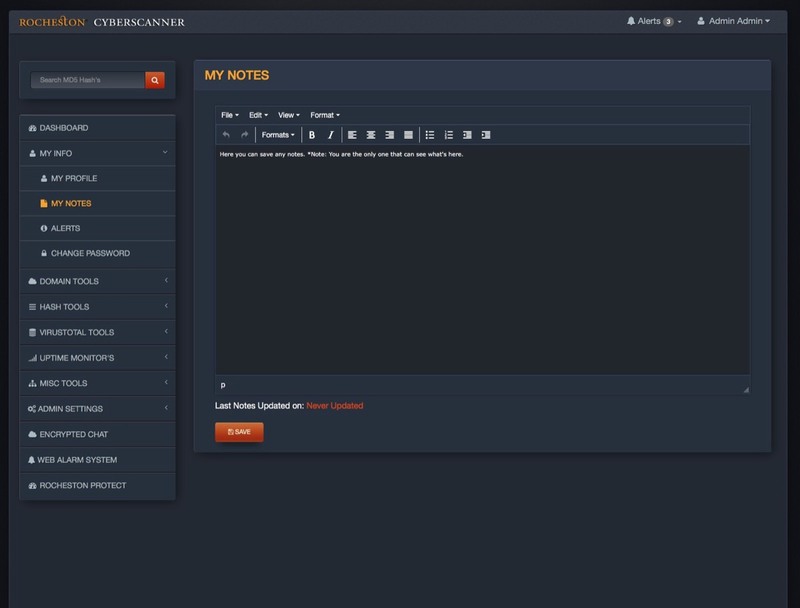 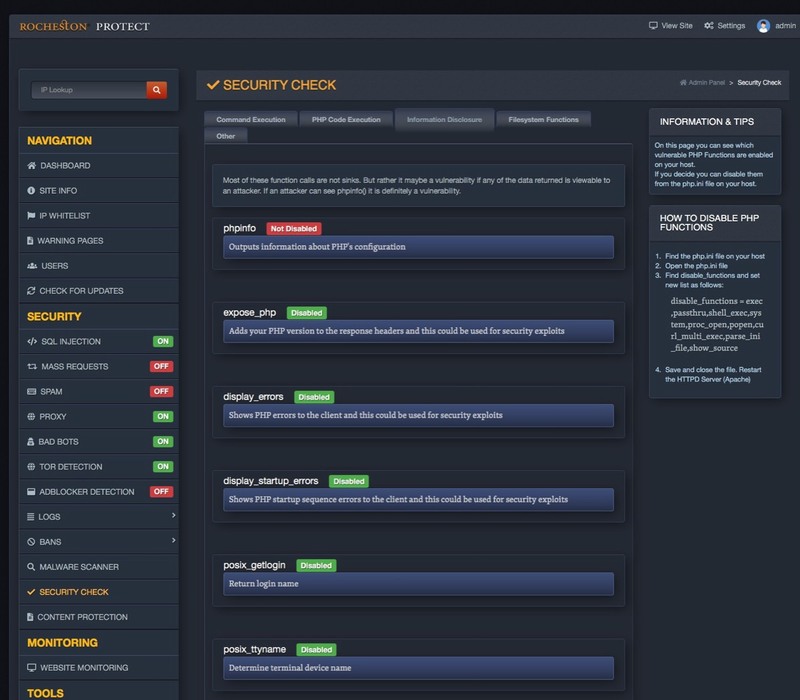 Rocheston Cyberscanner is a vulnerability analysis and security assessment tool. 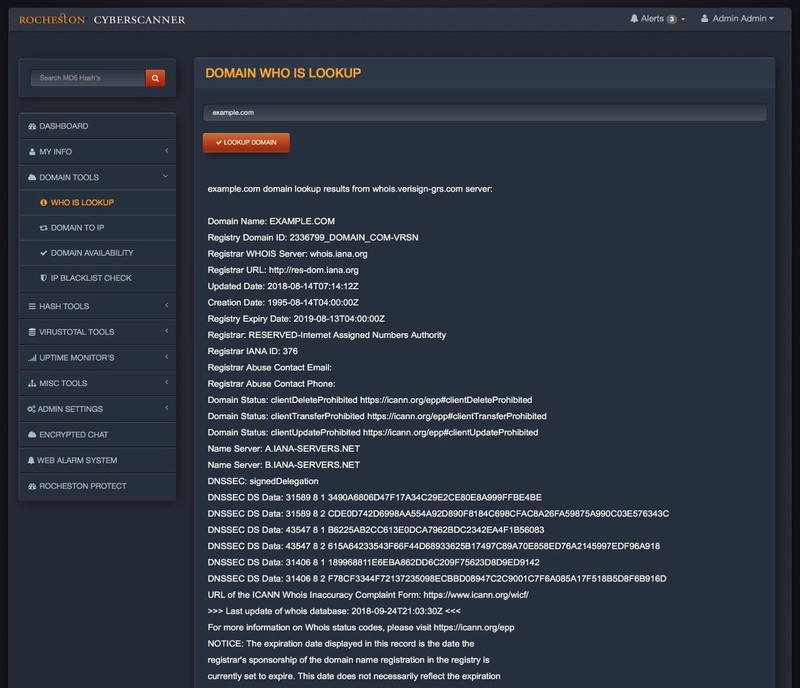 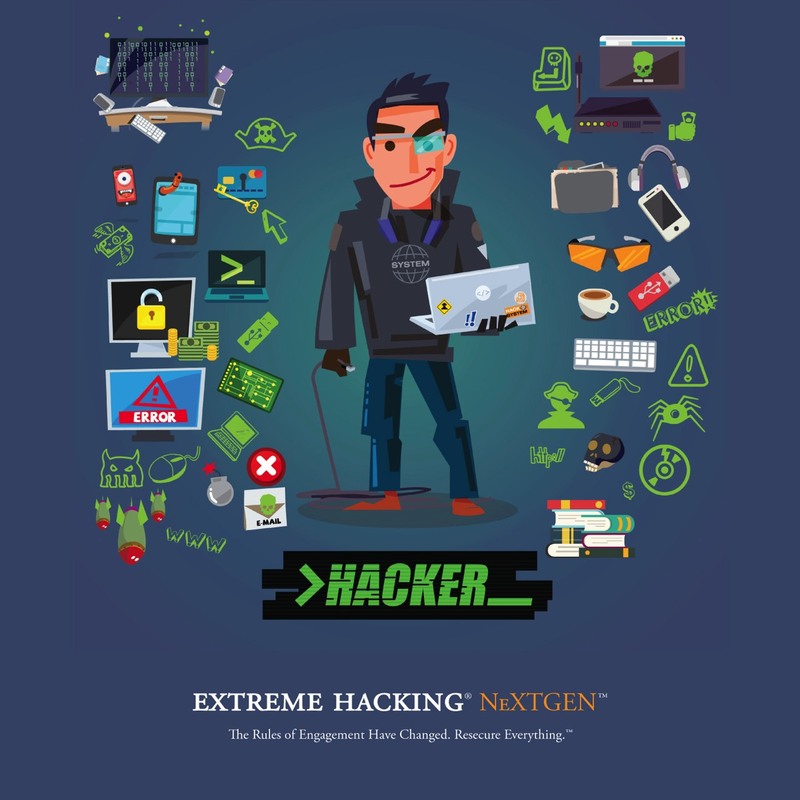 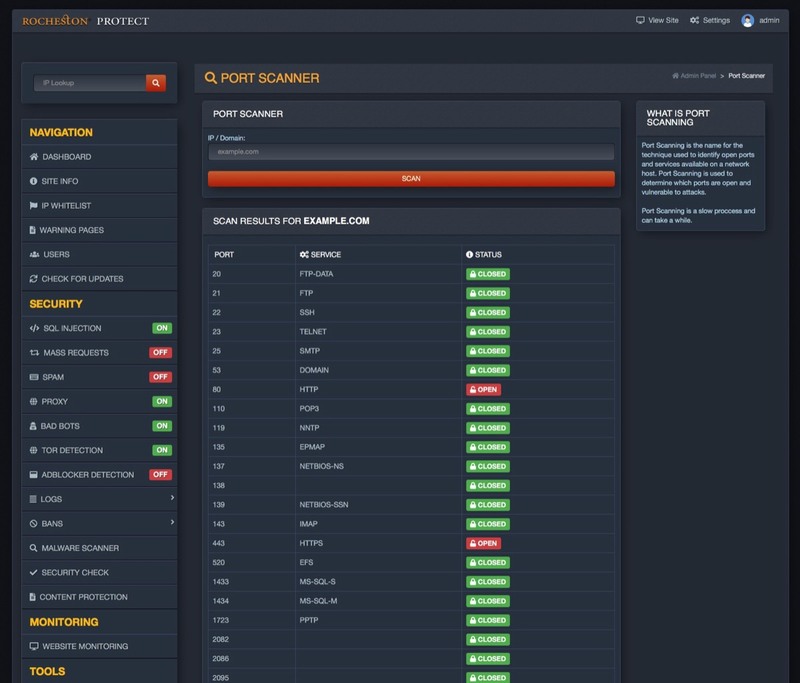 Port scan a website, check site errors, SQL Injection, ad blocker, TOR detector, malware scanner, security checker, password generator, hash analyzer, virus scanner, website monitor, malicious content checker, encrypted private chat, web based motion detector alarm system etc. 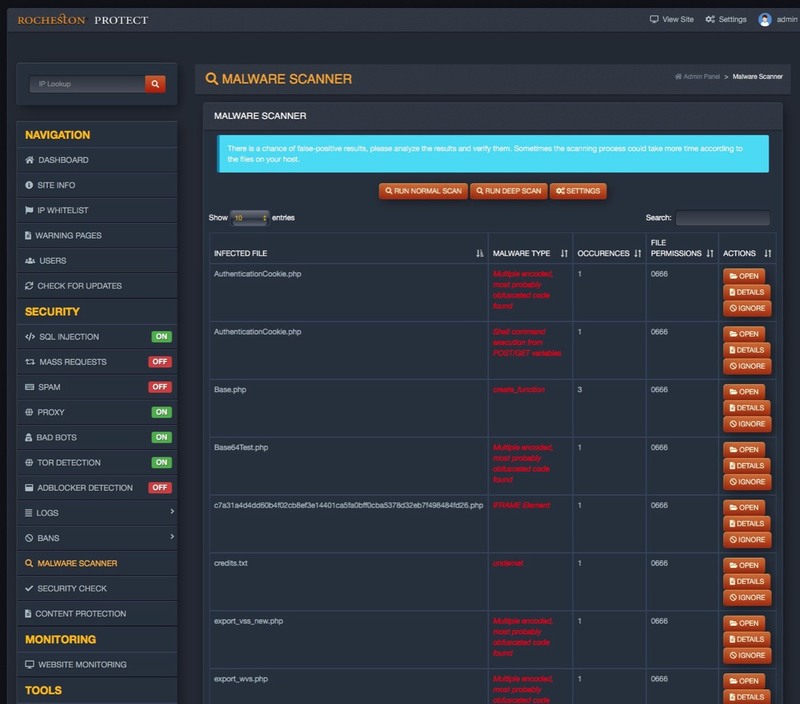 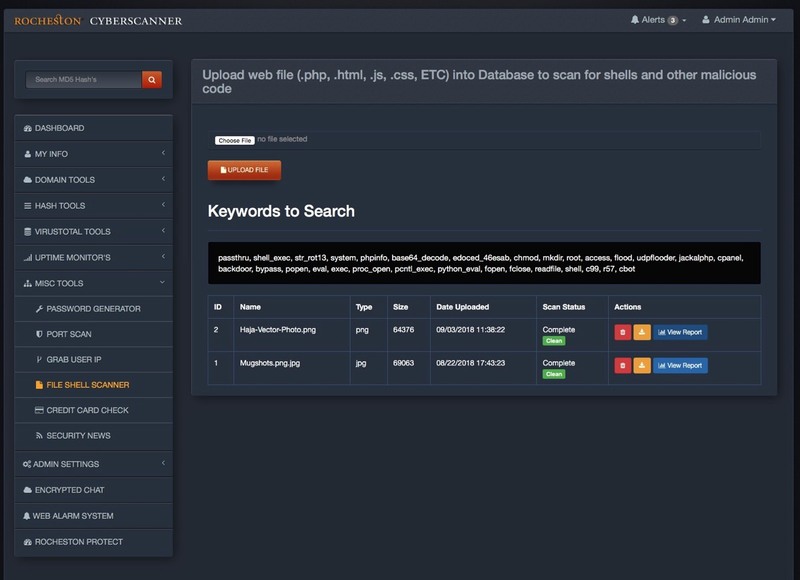 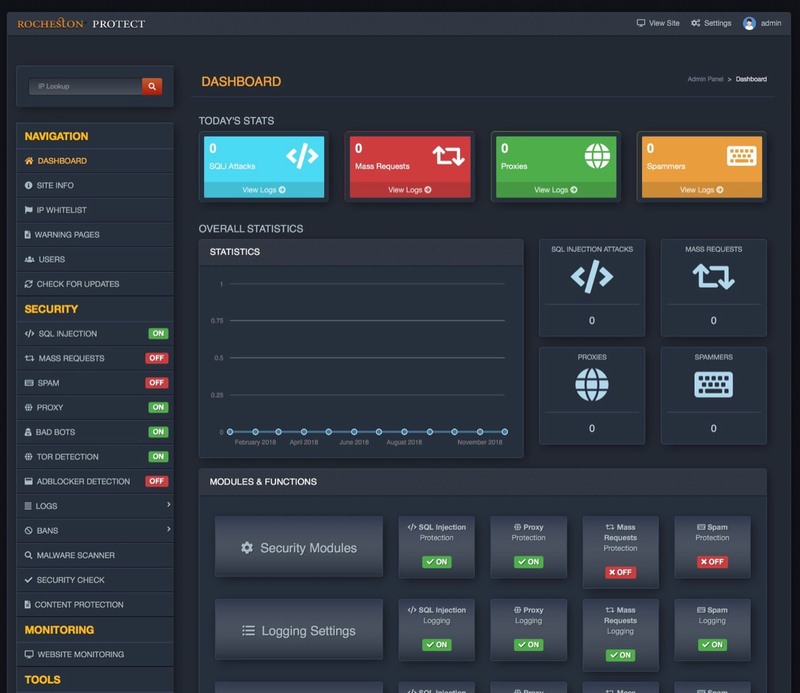 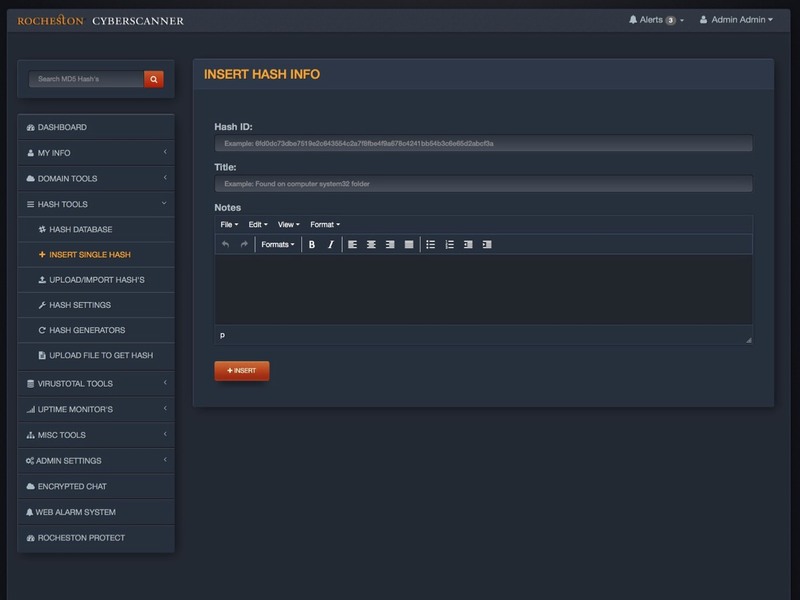 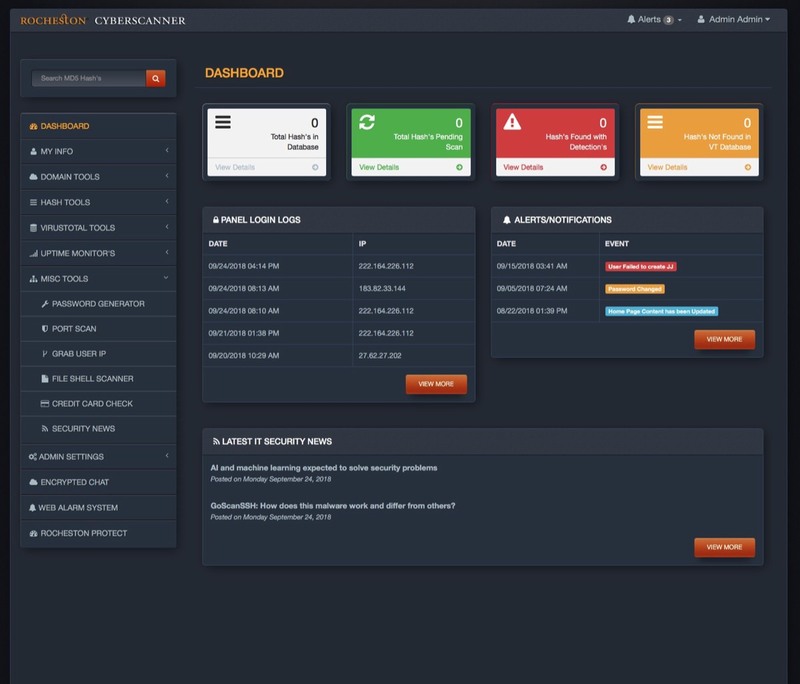 Cyberscanner uses artificial intelligence with deep learning cloud connected database to constantly evaluate and monitor network servers.